James Bond gets about at bit, in more ways than one. 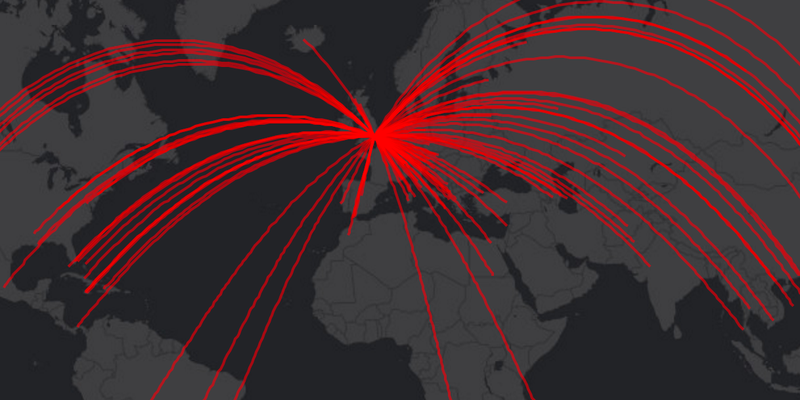 This interactive map shows where the spy has travelled to across all the movies in the franchise to date. He must’ve used a stack of (fake) passports. Produced by the Guardian using data from Empire, the interactive map describes 146 toto 49 countries across the 24 Bond films. The maps describes which Bond made the trip and why. It’s quite fun to explore.